When I was about 13 I had a cloud obsession…. This mainly resulted in me taking a lot of photos of clouds. Which is good because I’m feeling pretty overwhelmed and stressed by work, so it’s nice to come home to something I like. 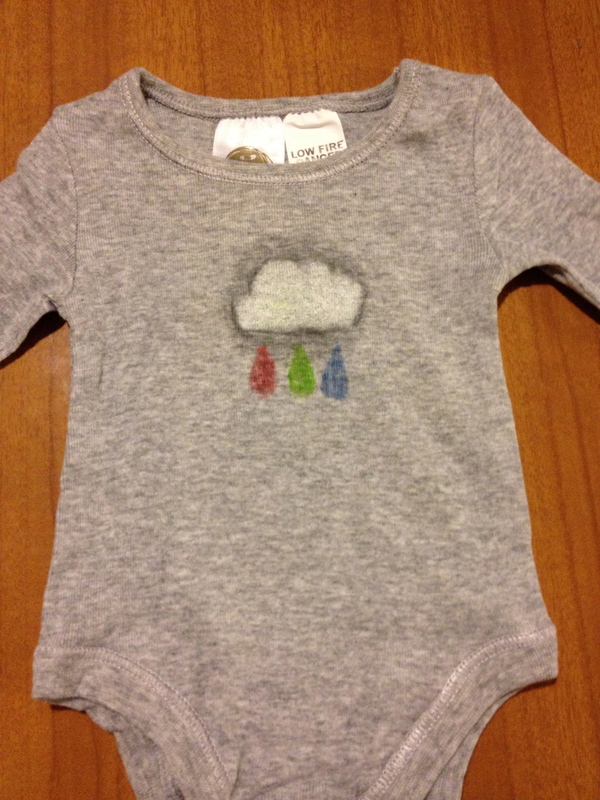 Tonight I made a cloud ‘onesie’. 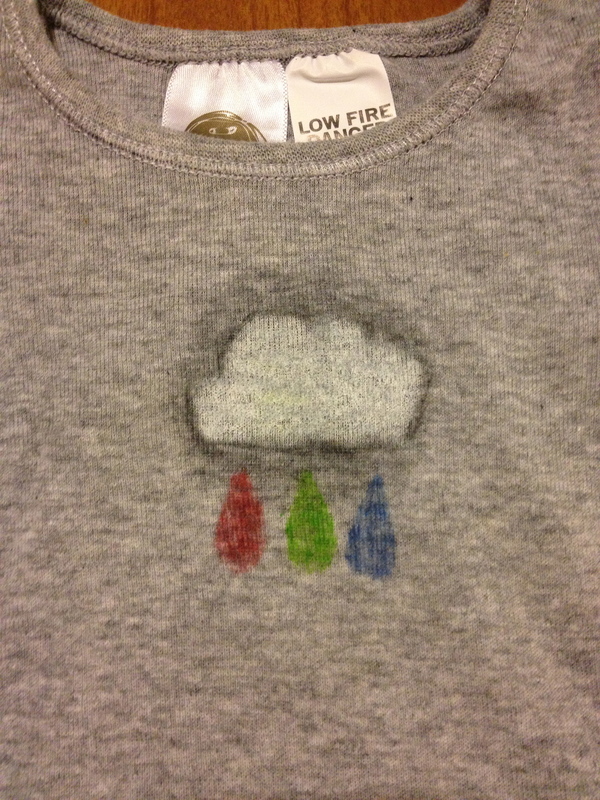 I used fabric crayons and a cloud stencil. The end result looks a bit like a kid did it. 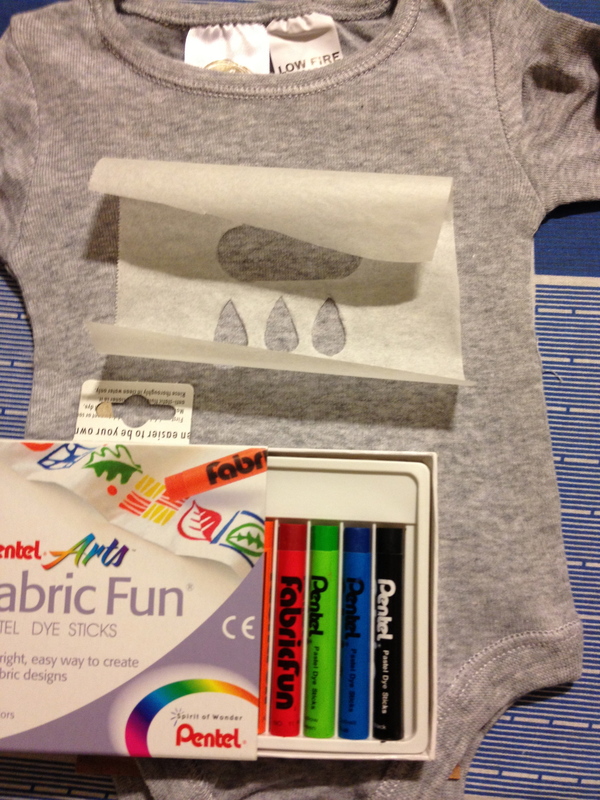 Turns out fabric crayons are not my thing…. oh well! GORGEOUS!!!!! Hope the little chookie in your life will benefit from this!!!! !